This 2-hour session is designed to highlight the problems and challenges that many corporations face in managing their projects, programs and strategic portfolios. The speaker will share his real-life hands-on experience of Project Management Office strategy formulation and PM tools implementations. You will also understand better the emerging trends in the industry, the best practices, and learn the change management, strategic information planning and program management skills required to deliver a project within prescribed timeline and budget expectations, and compliant with predefined internal processes. The key speaker for this business briefing is Tan Chee Peng. He is a Strategic Services Consultant specializing in IT Planning, Programme Management and Project Management Office/Business-IT process automation.A First Class degree holder from Imperial College, UK, he has more than 23 years of consulting experience in financial services industry, helping MNC clients in IT Strategy Formulation and Implementation, Business Process Re-engineering, Change Management, Performance Management and, e-Commerce Strategy and Implementation. He was previously the Vice President, Technology of Citibank N.A., Singapore. As Managing Partner of Andersen Worldwide for Mauritius and East Africa, Mr Tan had successfully built, nurtured and transformed a 35-person team into 160-person strong consulting and system implementation outfit over a 18-month period with over 100m backlog and recurring fees. 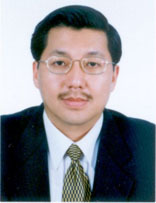 Mr Tan was conferred the (CITPM, Senior), the Singapore National IT Project Management certification on 26 November 1998. Based on his professional work in Singapore, Mauritius and Africa, he was independently nominated and admitted to the International Who�s Who of Professionals for 1999. Mr Tan also sits on the Board of Assessor for the Singapore�s National IT Skills Certification Programme � IT Project Management since its inception. He is also a Senior Member of the Singapore Computer Society and has been listed on the �SCS Roll of Honour� in recognition and appreciation of his valuable support and contribution to the Society. Mr Tan has given Project/Programme Management conferences, workshops and training to more than 1,500 PMs both locally as well as internationally. He travels extensively and has successfully completed assignments in more than 30 countries. Chief Executives, Project Management Office Heads, Project Directors, Project Leaders, Project Managers, Sponsors, Advisors, Co-ordinators, Planners, Administrators from Banking and Finance, Construction, Manufacturing, Distribution/Logistics, ICT/SI/Consultancy, Conglomerates, Hospitality, Health Services Provider, Public Sector, Transportation, Telecommunication, Retail and Service and other industries. Please register early by 11th September, 2008 to avoid disappointment via enquiries@teamsynthesis.com or call Andre Hoffmann (+27 78 8002686) / Stephanie Budlender (+27 82 4468595).